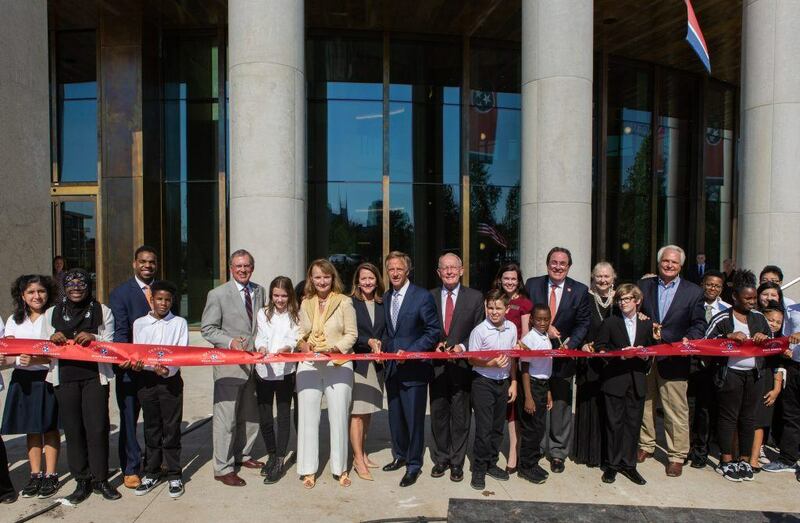 Tennessee State Museum celebrated the Grand Opening of its new state-of-the-art history museum in Nashville October 4, marking a milestone that increases the visibility of the institution and history of the State. 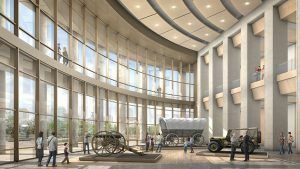 Designed by HGA in association with EOA Architects, the 137,000-square-foot, two-story Tennessee State Museum is located on the northwest corner of the Bicentennial Capitol Mall, with expansive views of the historic State Capitol and Nashville skyline. “The design team used a rigorous research process—including historic development, regional geology, and vernacular language—to make this significant civic building a uniquely Tennessee building,” Nancy Blankfard, AIA, LEED AP BD+C, Principal at HGA said. 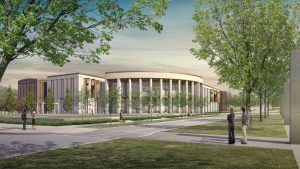 The museum reflects the classically inspired architecture along the Mall while providing modern, state-of-the-art exhibit, community, and event spaces. The surrounding landscaping evokes Tennessee’s rolling hills, flatlands, and meadows, with Tulip Poplar, Iris, and Passionflower sited to attract state birds and insects, including the Mockingbird, Honeybee, Ladybug, and Lightning Bug. A commemorative pathway lined with Crab Orchard Gray Stone pavers leads to an expansive entry, where a water feature representing the State’s waterways welcomes visitors. Inside, a Grand Hall features a terrazzo star inlay representing the Tennessee flag and its three stars. The Hall’s curving glass wall overlooks the Mall, creating a strong visual connection between the Museum and the city. Primary building materials throughout the interior and exterior—Tennessee Quaker Gray Marble, Crab Orchard Gray Stone, Limestone, and White Oak—are indigenous to the State. The museum features a diverse mix of exhibits designed by Gallagher and Associates, from straightforward gallery displays to technology-rich interactive exhibits, multi-media presentations, emerging technologies, and large-scale immersive environments. Six permanent galleries explore specific periods and themes—Natural History, First Peoples, Forging a Nation, The Civil War and Reconstruction, Change and Challenge, and Tennessee Transforms. Other exhibit space includes five smaller galleries for temporary exhibits, a Children’s Gallery for young visitors ages three to eight, and the Tennessee Time Tunnel, which combines artifacts and stories from the permanent collection with interactive media. Finally, a 250-seat Digital Learning and Outreach Center provides presentation space and remote access to other museums, colleges, schools, and scholars nationally and globally. The official State Museum opened in 1937 in the War Memorial Building on the Bicentennial Mall. In 1981, the museum moved to the James K. Polk Building, which it has shared with the Tennessee Performing Arts Center and state department offices. In 2013, the State Building Commission revived plans for the new State Museum. 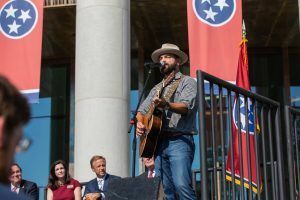 At the request of Governor Bill Haslam, the General Assembly appropriated funding from the state, with a portion to be raised through private donations. The new museum is expected to host more than 220,000 annual visitors. For more information, visit Tennessee State Museum.